Looking for the perfect watch? Look no further. 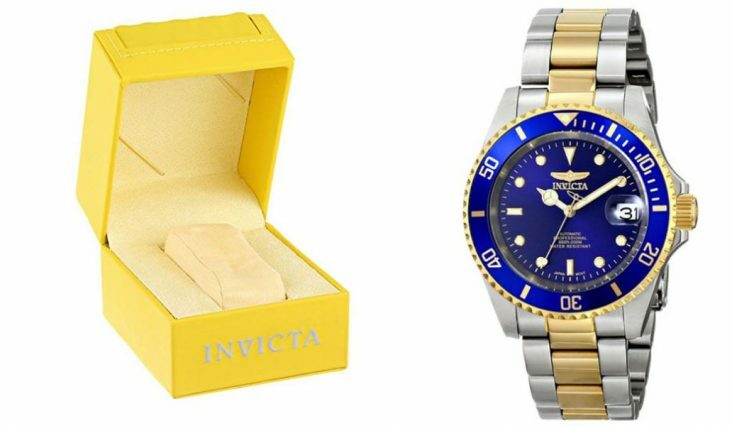 This is the ultimate guide to the best watches in the world priced at under $500. 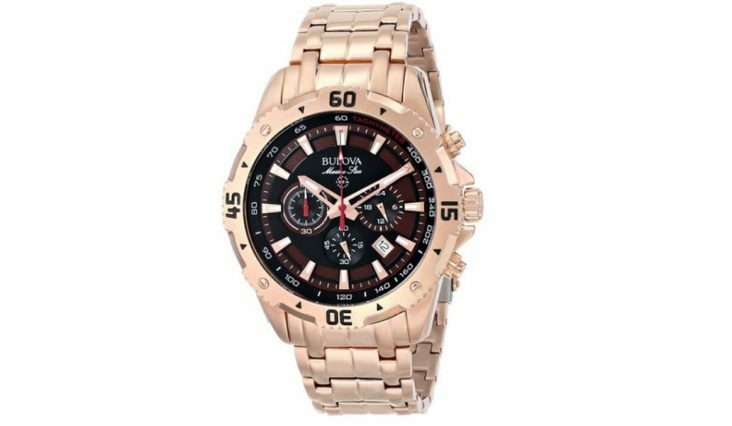 Whether you are looking for technology, durability or style you are sure to find the right watch to suit your need here. Tracks sleep and exercise and come with a free health mate app for real-time coaching. Sleep cycle analysis as well as a built in alarm clock. 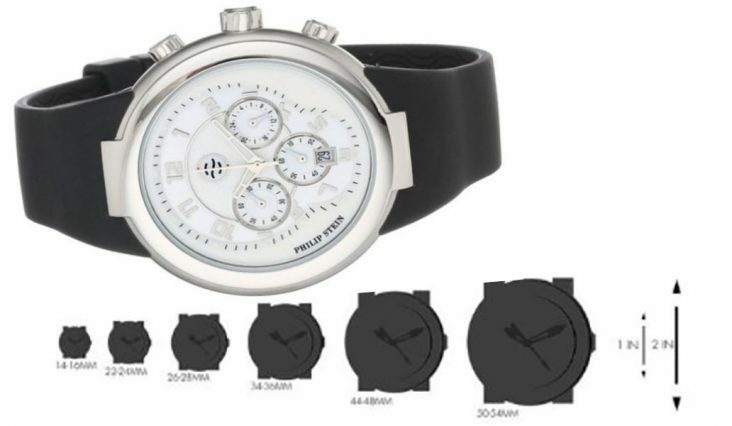 This watch is also available in four different colours. 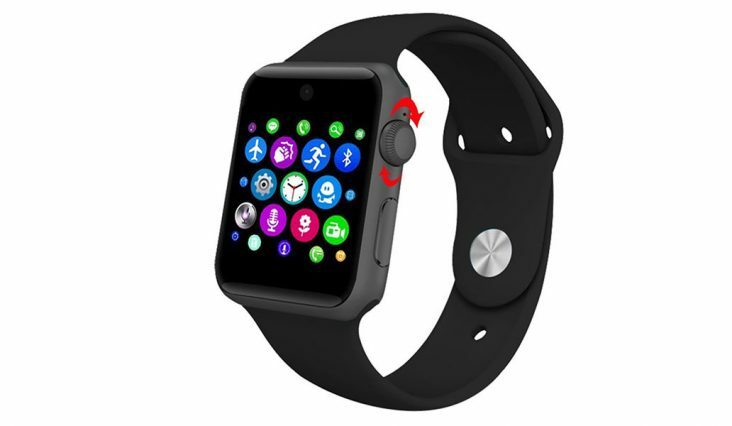 A great water resistant smart watch featuring multiple modes including an activity tracker. 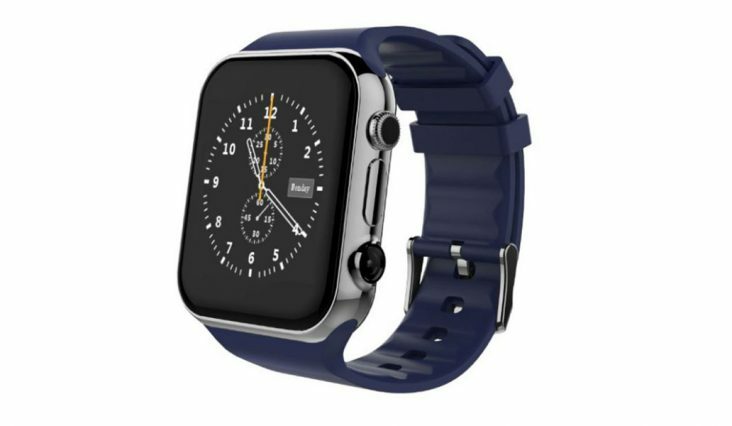 Available with or without a heart rate monitor this ultra thin smartwatch is packed with cool features. Keep track of your exercise activities and your health easily. 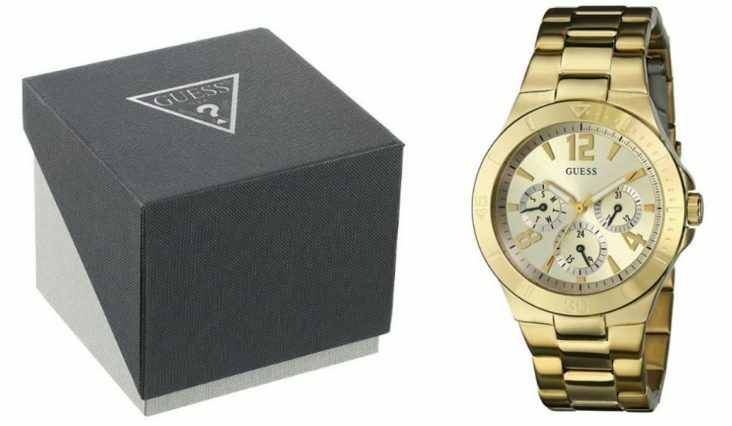 Here's one for the fashion conscious, a beautifully boxed Guess watch that comes in a cute gift box. A water resistant, multi-function watch suitable for swimming which shows day, date, 24 hour/intl. Time. Perfect for anyone who usually only wears a watch as jewellery or a fashion accessory. Designed to motivate you to achieve your fitness goals! Real time support coaching and 24 hour activity tracking. Light and durable so that you can wear it all of the time. A premium sapphire coated mineral-crystal, stainless steel watch featuring natural frequency technology which is inside all Phillip Stein watches. This means is is tuned to pick up natural frequencies in the environment that are believed to be beneficial for health and well-being. 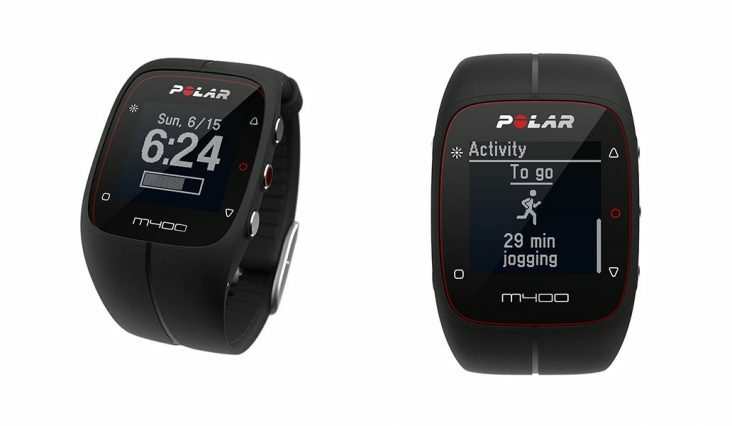 The Polar GPS smart watch keeps track of your location and altitude as well as providing basic functions such as telling the time. 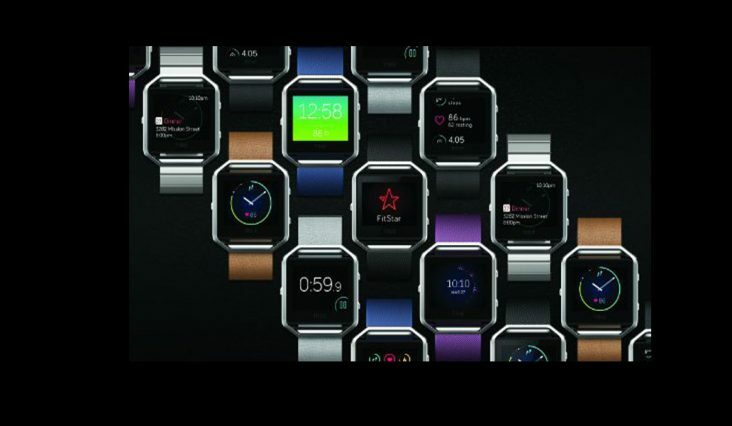 It also has a built in fitness tracker and a sleep tracker. 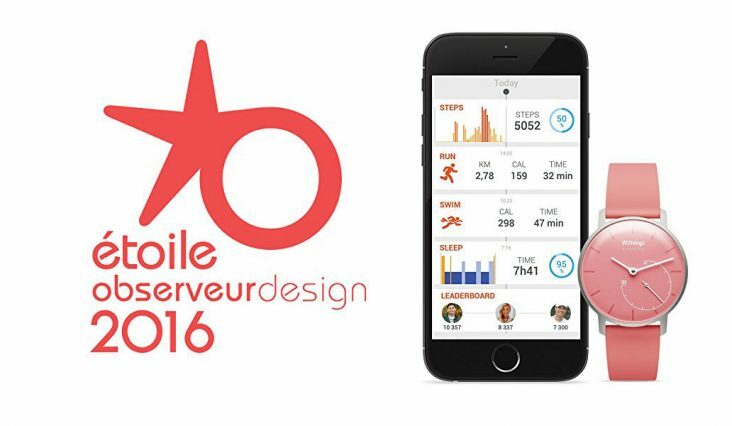 The social app allows you to plan, sync and share your activity with others. Cute and sporty which is perfect for jogging or the gym. A beautiful timepiece designed for professional marine activity and surface water-sports. It is waterproof to 200 metres. Features include a 40 mm face, a 23k gold-plated stainless steel case with mineral dial window and interestingly it is powered by the motion of the wearer's wrist. A classic circular interface and easy access to notifications and texts. Compatible with Android 4.4 and later. 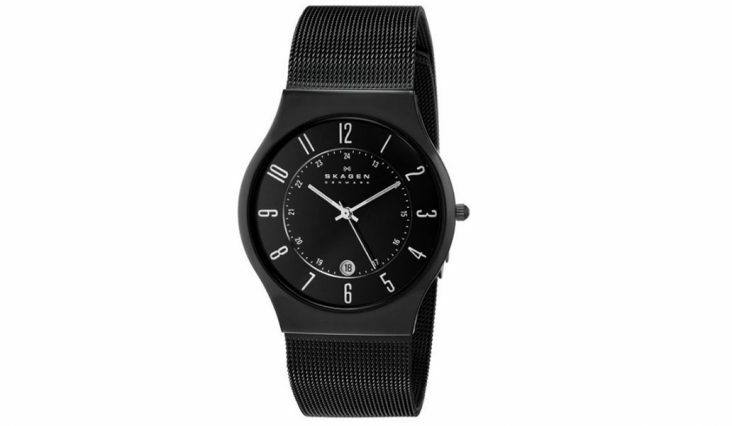 Classic elegance combined with modern features makes this one a great addition to the best watches list. 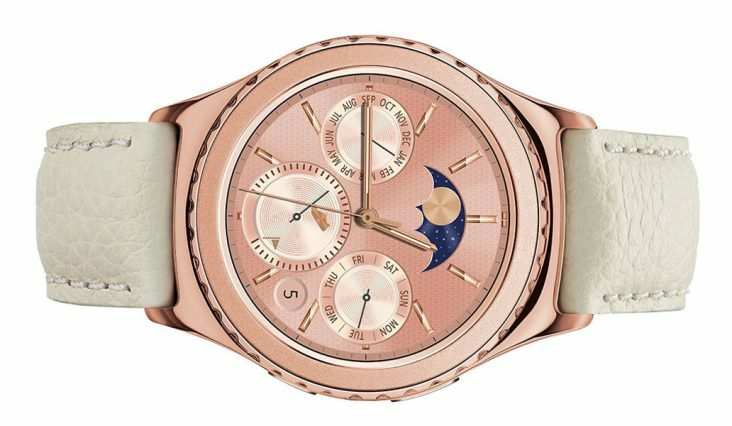 A classic rose gold women's watch for the fashion conscious made by Samsung. 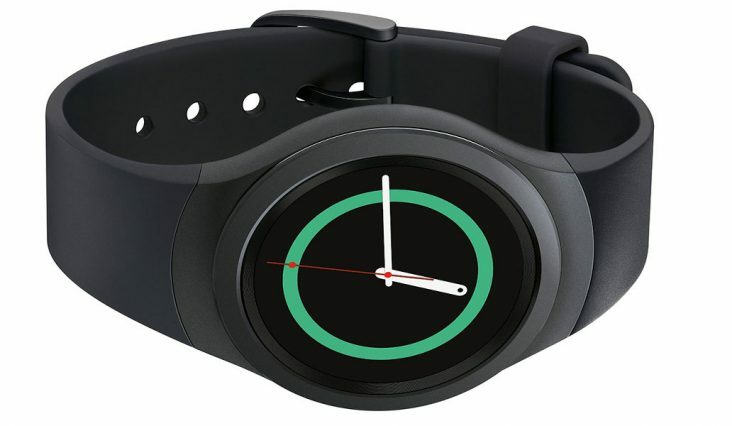 Samsung creates some of the best watches around, this one is beautiful, elegant, equipped with Bluetooth and wifi connectivity. Provides access to texts and notifications at a glance. Compatible with Android 4.4 and higher. 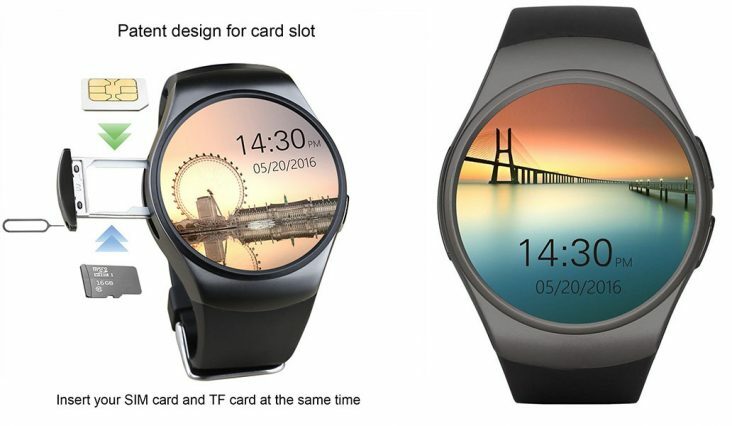 A cutting edge watch with patented card slot design. Conveniently supports both Apple and IOS. Features a highly sensitive LCD touch screen and stratified cutting techniques are used for the tempering glass. Compatible with most devices and features a 1.4" full circle AMOLED display with a scratch resistant sapphire crystal and stainless steel body. 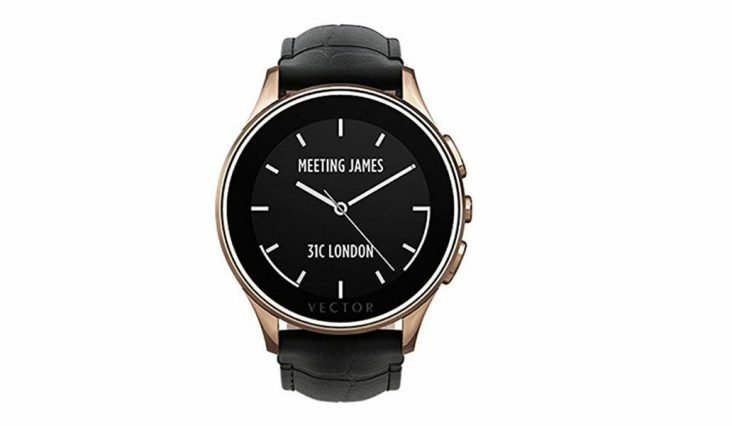 Easy to read clock face with glossy rose gold numbers. The Fitbit blaze is currently the number one best watch in the smartwatch category. 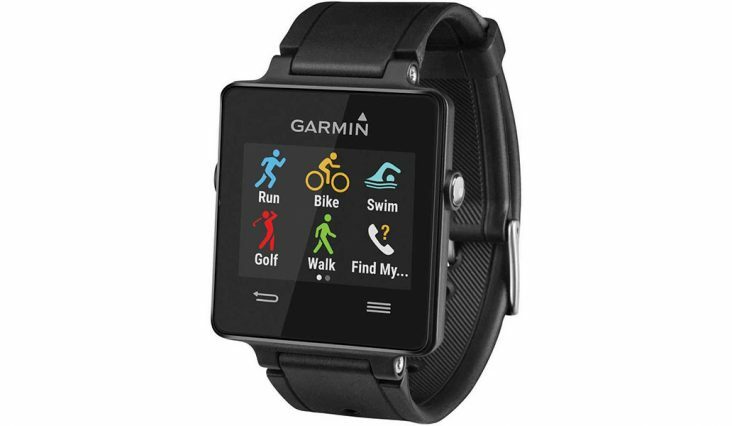 It features sports tracking, GPS and much more. Available in a variety of styles and colours. The popularity of this watch is largely due to it's many features. An all in one watch incorporating everything you could possibly want in a watch. If you like to take pictures this one is for you as it features a remote camera. 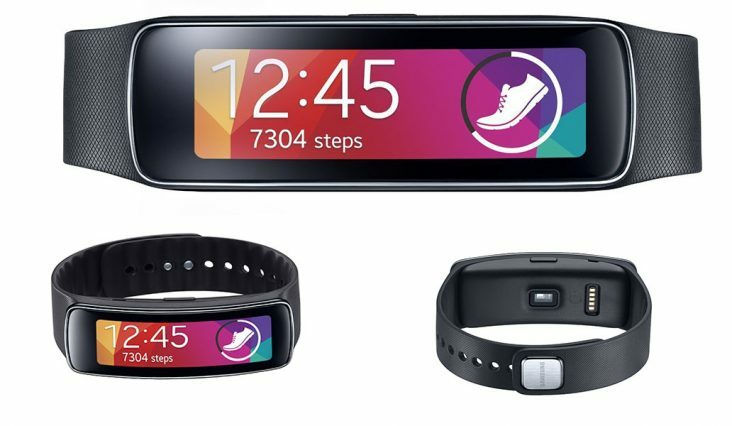 Other great features include sleep monitor, activity monitor, the ability to answer cellphone calls, SMS and email. Conveniently compatible with Android 4.3 and higher. Features an AMOLED Screen and Corning Gorilla Glass 3 display. A classy design perfect for wearing to the office. This one most definitely belongs on the Best Watches list. 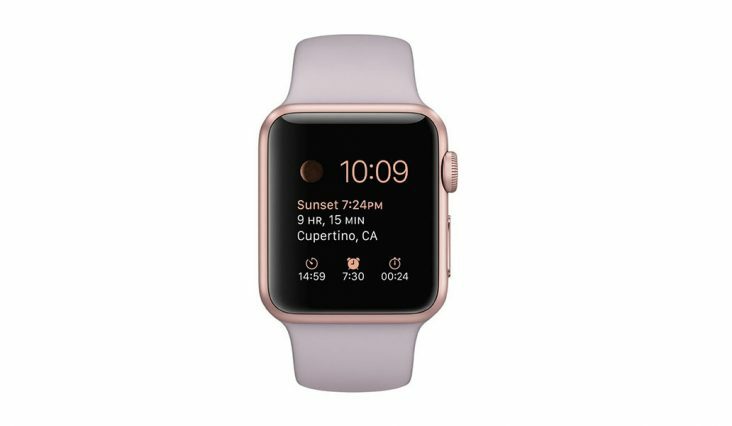 Has a retina display and force touch, compatible with iphone only. Popular with IOS users and available in several different colours. Includes 8gb of internal storage. 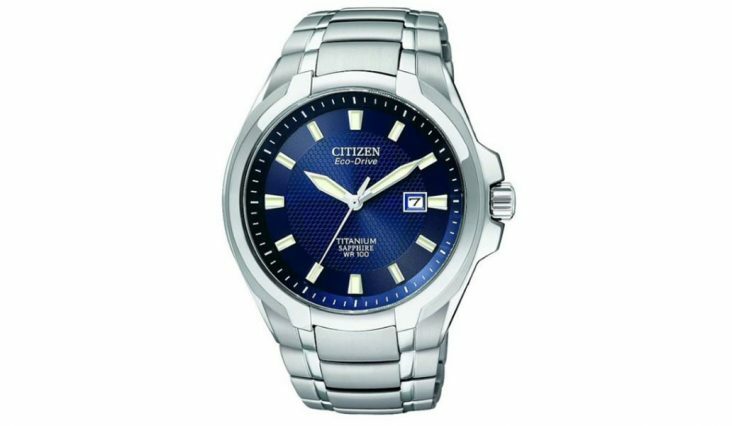 Built to last, this Citizen watch is powered by Eco-Drive. What this means is that it is powered by light and does not need a battery, pretty cool. 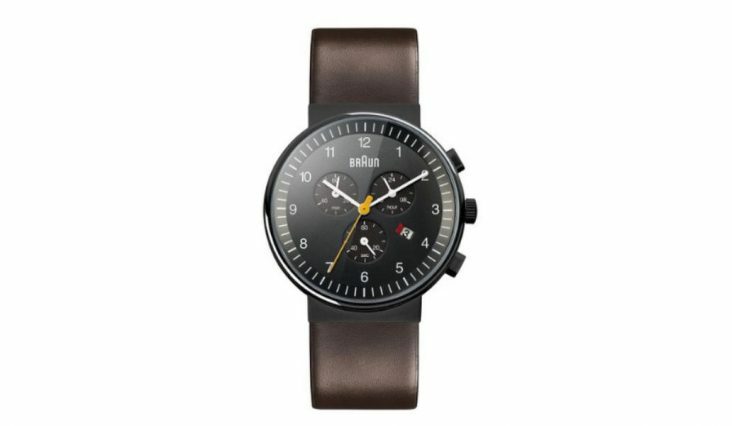 This feature alone makes it one of the best watches around, it looks great too! Not a Rolex but definitely a fantastic looking timepiece that is sure to be noticed. Designed for casual wear and features Eco-Drive technology as well as a mineral dial window. Never needs a battery, water resistant to 200 feet and radio controlled world time. The hands are luminous and you can quickly check the date at a glance. Face is designed using stand out orange accents. 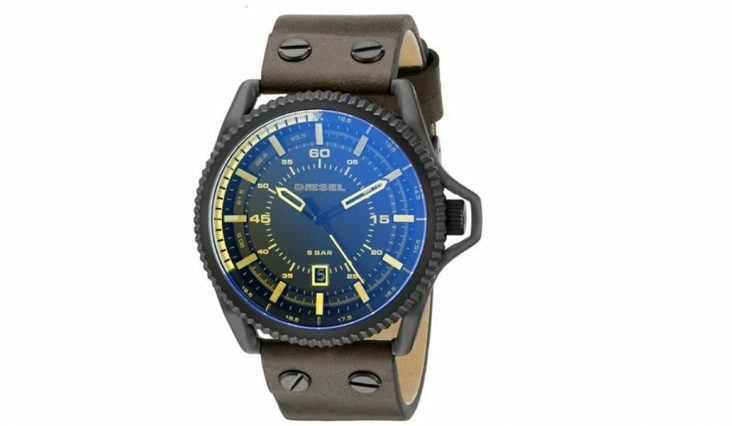 An awesome looking watch with steampunk flair. Multi-function analog-quartz movement and water resistant to 99 feet. 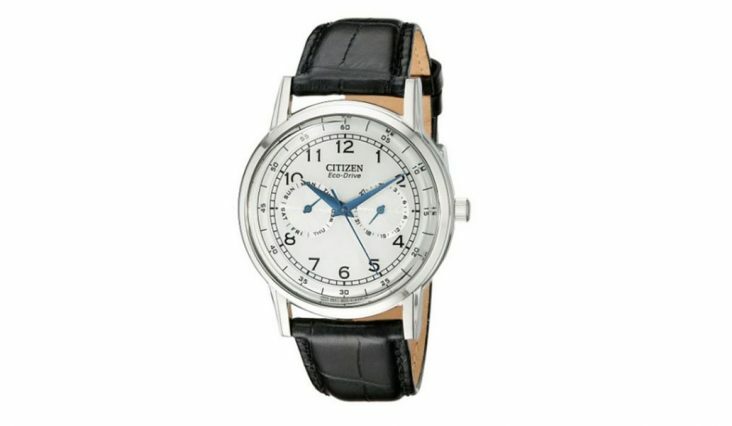 A classic three hand watch with a vintage leather band and an easy to read face. 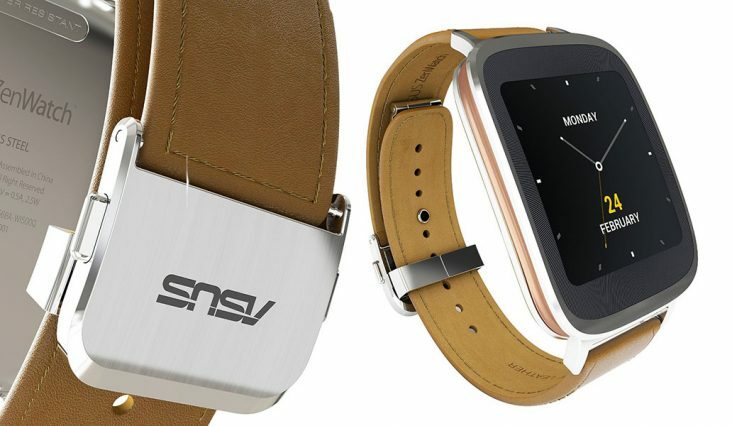 The contrast between the classic vintage leather band and the modern face with date window looks fantastic. 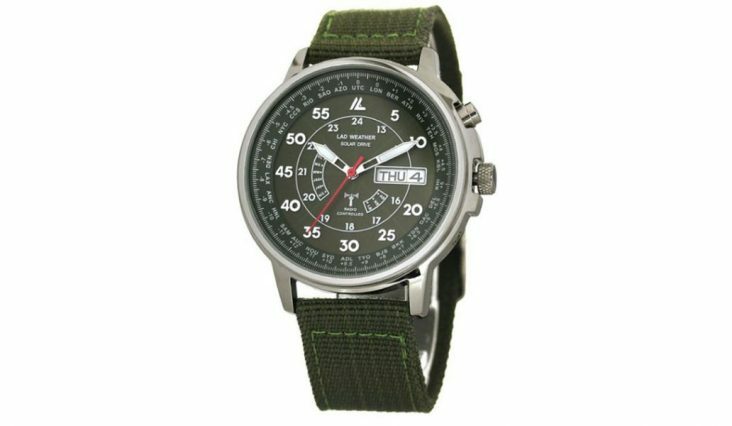 A Hardside/Steel watch perfect if you need it to last and last. Multiple zone control designed in that classic rugged Diesel style that is known and loved. 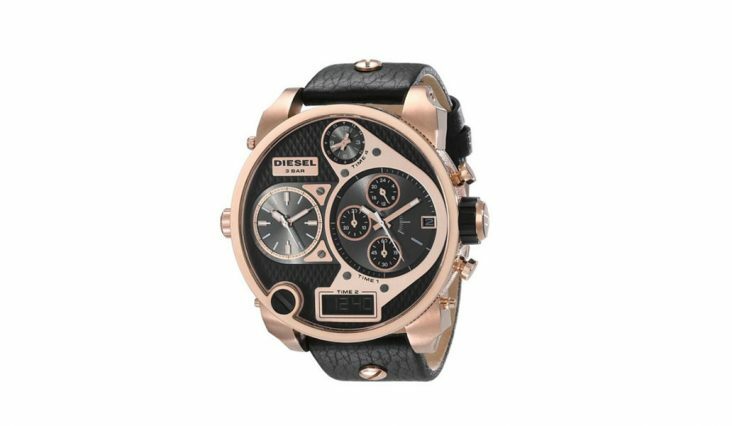 Definitely one of the best watches from Diesels collection. This on deserves a place on the best watches list because it is simply stunning to look at. 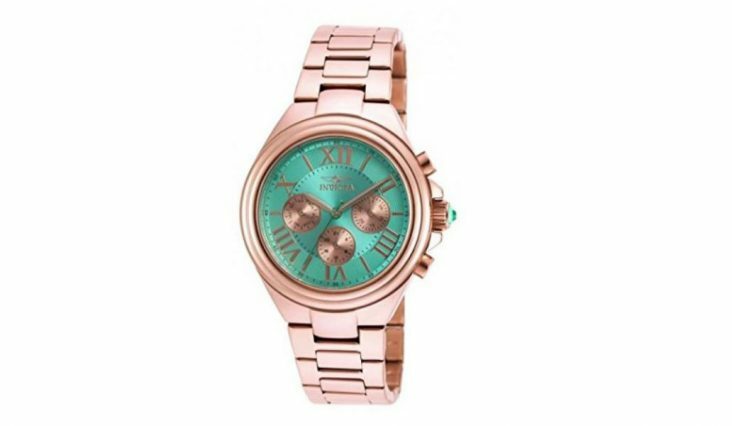 The rose gold toned case combined with the ocean green dial makes this a beautiful watch. It doesn't just look good though, it also features quartz movement with analog display and a flame fusion crystal dial window. 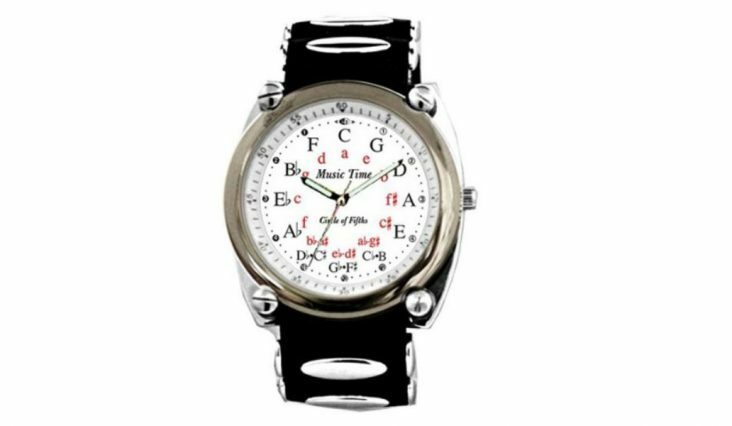 The novelty of the Music Treasures watch is sure to appeal to any music lover. The face tells time but is also a guide to harmonic progressions and other patterns. A cool gift idea for your music teacher. 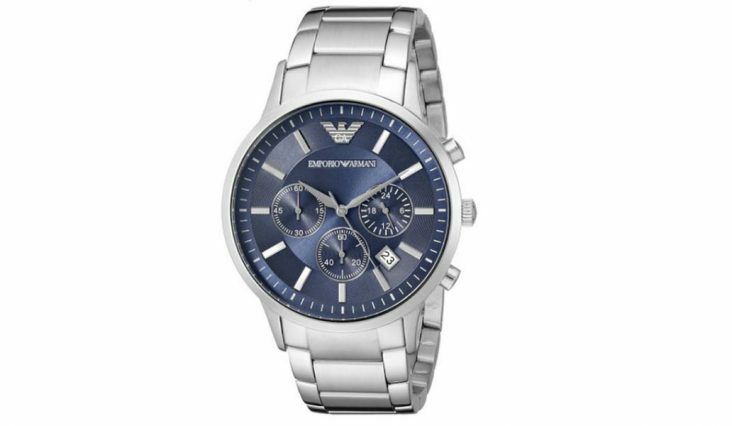 Armani is a well loved fashion brand and this watch is representational of this USA based designer. Silver toned band with a blue sunray dial featuring the Armani logo. Perfect for the fashion conscious and quality conscious man. 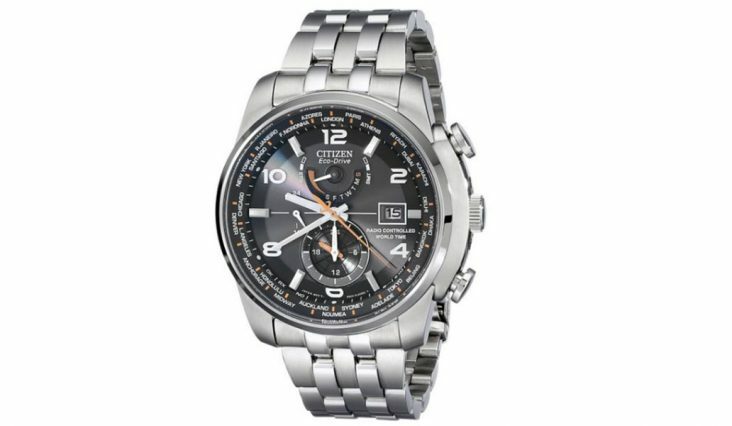 A durable watch in classic silver and black. 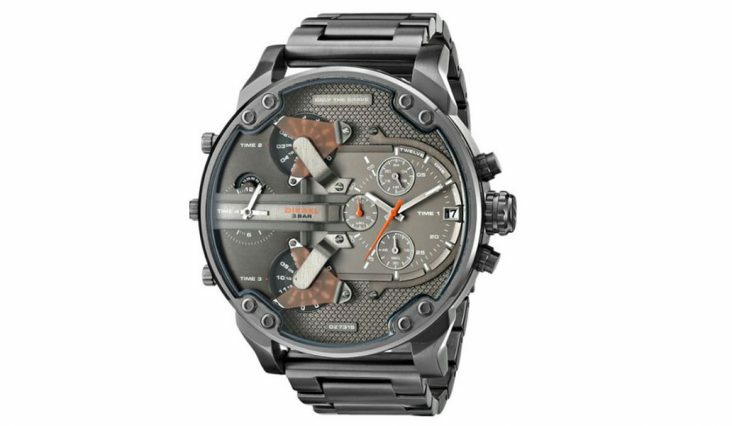 It has chronograph functions with 60 second, 60 minute and 24 hour built in sub dials. Check the time and the date at anytime with ease. 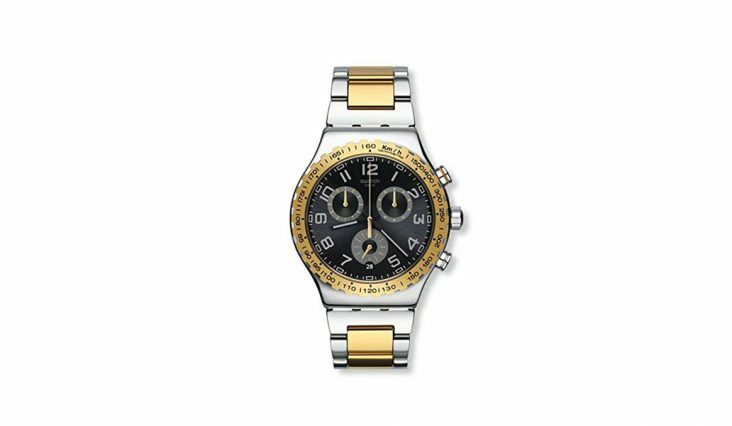 Swatch watches have a cult following because of the huge variety of designs they offer. Many of them are collectable items and the 'Golden Youth' is sure to become one. Swatch watches are often made from bright plastics and other bright materials, this one is definitely a stand out from this range. Seiko is world renowned as a maker of reliable watches and this one is no exception. It features radio controlled time in 26 cities and has a three year manufacturer's warranty. Fastens via a fold over clasp that has double push buttons. 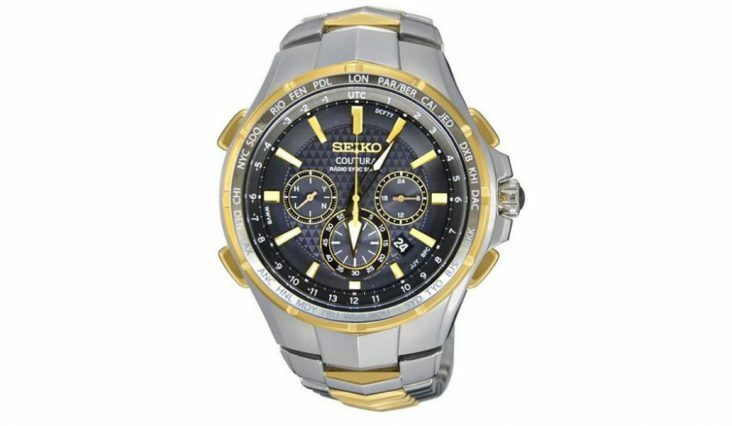 One of the best watches currently available by Seiko. A solar powered watch with a hard wearing strap that can receive radio wave (5 stations in 4 countries; U.S., U.K., Germany and Japan). Available in two different colours. Casio has long been famous as a respected watch maker and this modern offering is a testament as to why. 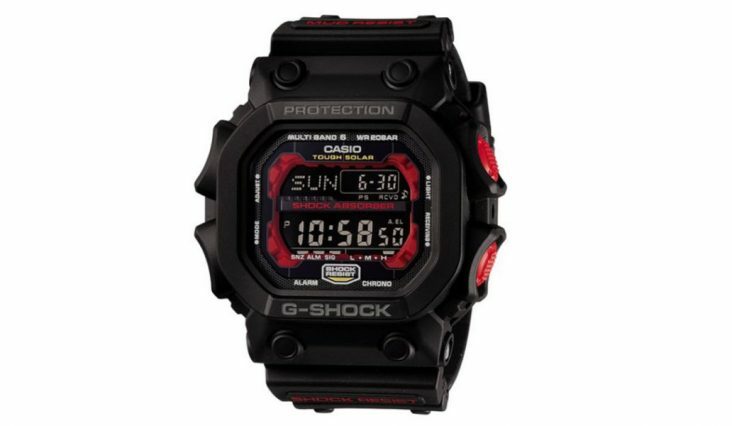 It offers Multi-Band Atomic time keeping and a tough shock resistant design. Perfect for the outdoors. A leather crocodile -embossed calfskin band with a buckle closure and a gold toned case. Features three sub dials and a cool, classical styled design. Classy and classic design. 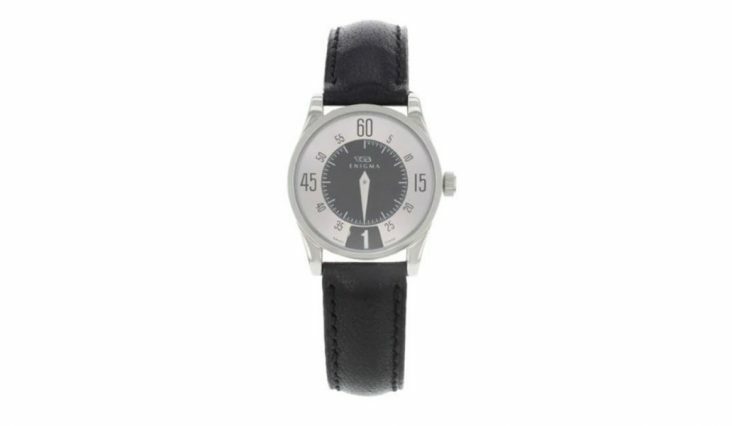 A classic black ladies designer watch with a modern twist in the form of an interesting dial design. The band is made from leather and the case is stainless steel. 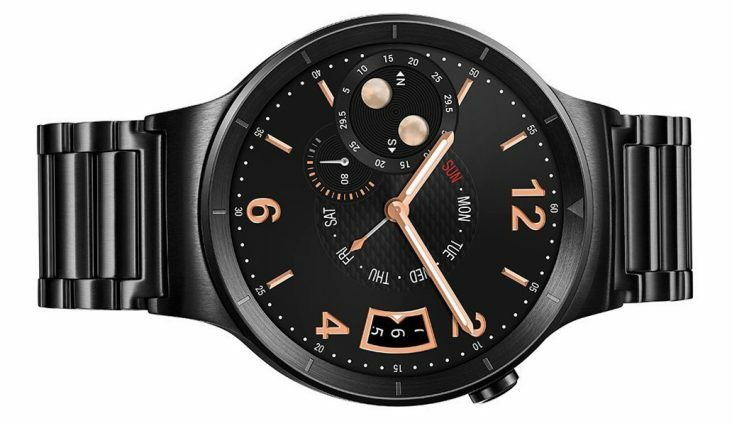 An affordable smartwatch with premium features. 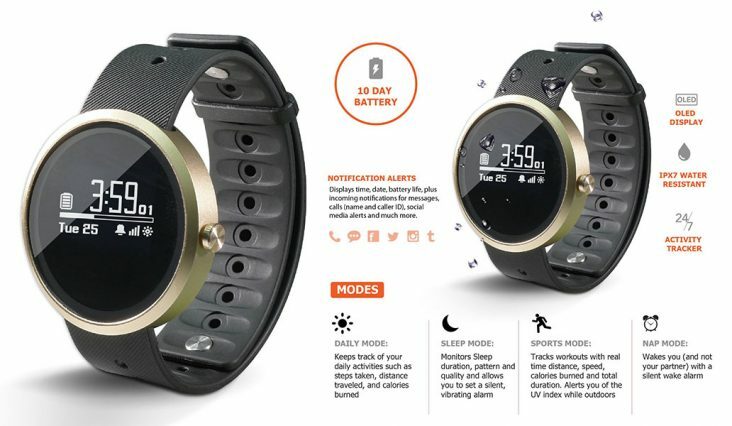 Allows you to easily tell the time, initiate and answer calls, check notifications, take photographs and listen to music. Has 16 mb of built in memory which can be expanded to 32 gb. Great value. Lets you see notifications with a single glance and features a full suite of customisable faces to suit your needs. The battery has a life of 30 days plus. Count calories, track activity and monitor sleep quality easily. 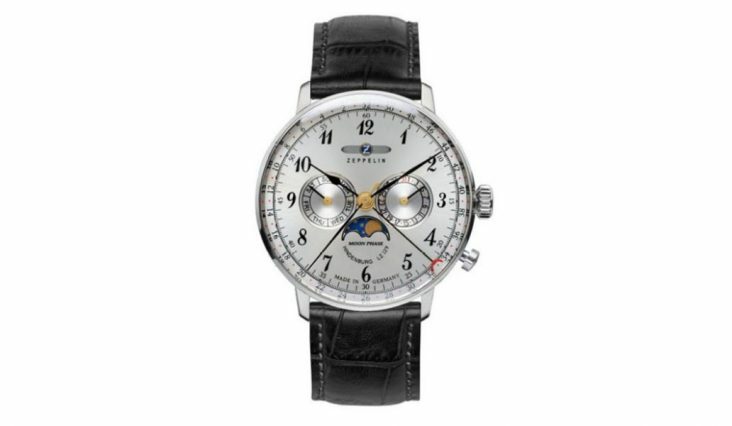 This Zeppelin series watch keeps track of the day, the date, the time and the phases of the moon. Excellent for keeping track of when the tide is high or low. A gorgeous ladies dress watch boasting 34 diamonds which have been individually hand set in the white mother of pearl dial. 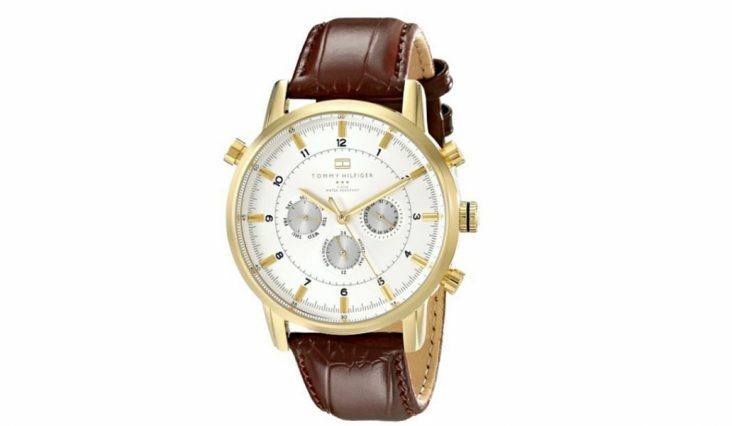 The best watch choice as a gift or to wear on special occasions. A simple, tough high quality timepiece with a titanium case. Great choice for everyday wear that will last. A watch providing everyday practicality and a minimalist, clean design. Reliable Quartz movement and a stainless steel case. 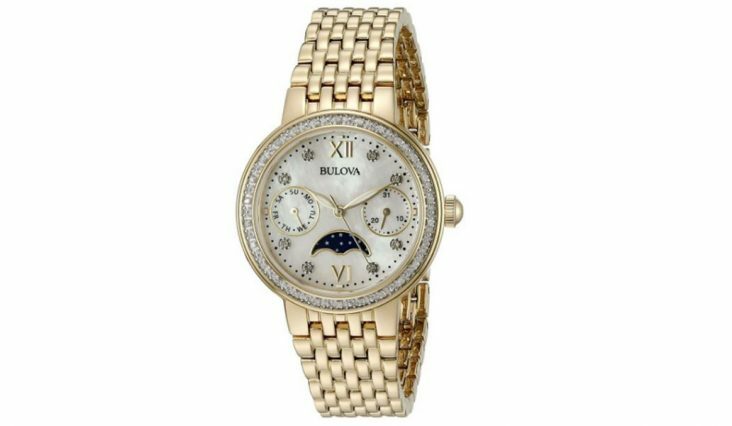 Bulova is a trusted watch designer and many Bulova watches qualify as being the best watch in their particular categories. This one is water resistant to 330 feet which is suitable for snorkelling and most water sports except for diving. 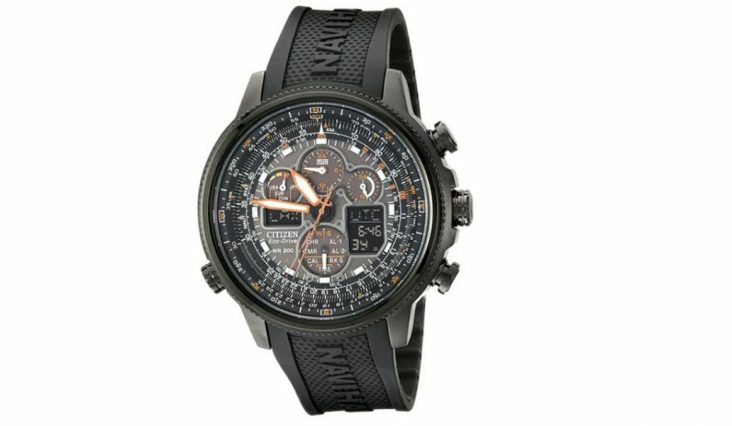 Water resistant to 660 feet and equipped with Eco Drive technology. The luminous accents ensure that this watch is always easy to read even in poor light conditions. Sometimes the best watches are the cutest watches! When it comes to cute fun watches Mickey Mouse is always the best! 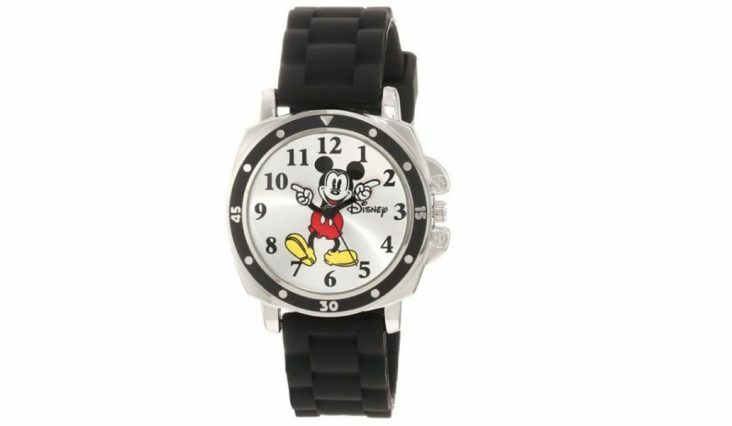 These used to only be for children but these days Mickey Mouse watches are available for both men and women as well so there will be one to fit you!